Easy line-of-sight sailing and year-round pleasant weather make the British Virgin Islands (West Indies) the perfect Caribbean sailing vacation for everyone. For the first-time charterer, there is no place better to start, and even the most experienced sailor returns year after year, hooked on this tropical paradise. Jim Richardson has been in love with the ocean since he was a child and remembers vividly the first time he saw it. 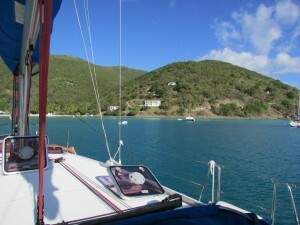 An avid sailor and licensed captain, he has sailed throughout the world, most often in the Caribbean. Harness the Power of EQ!